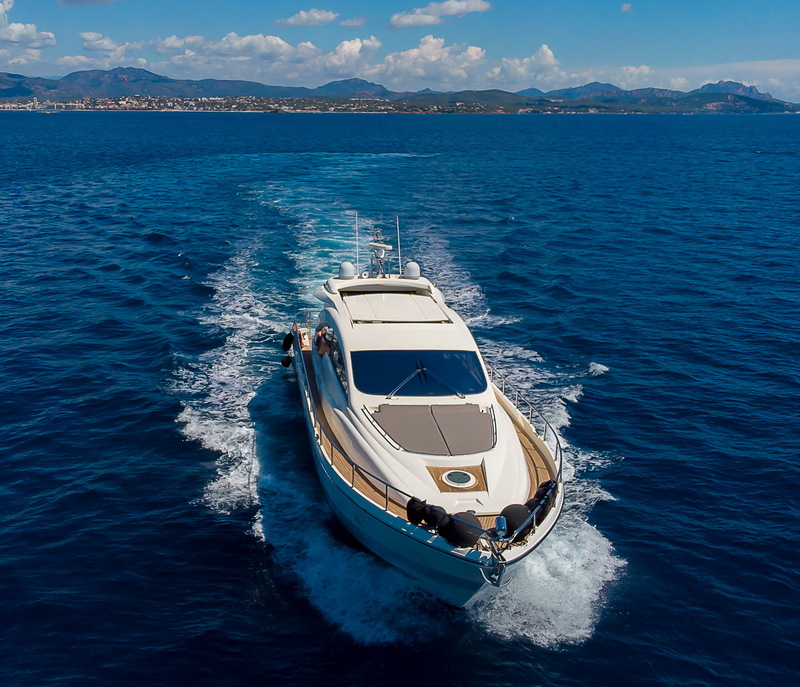 Constructed in 2006 and refitted in 2018, BABY MAGIC is an outstanding luxury yacht built by the Italian shipyard Aicon Yachts. 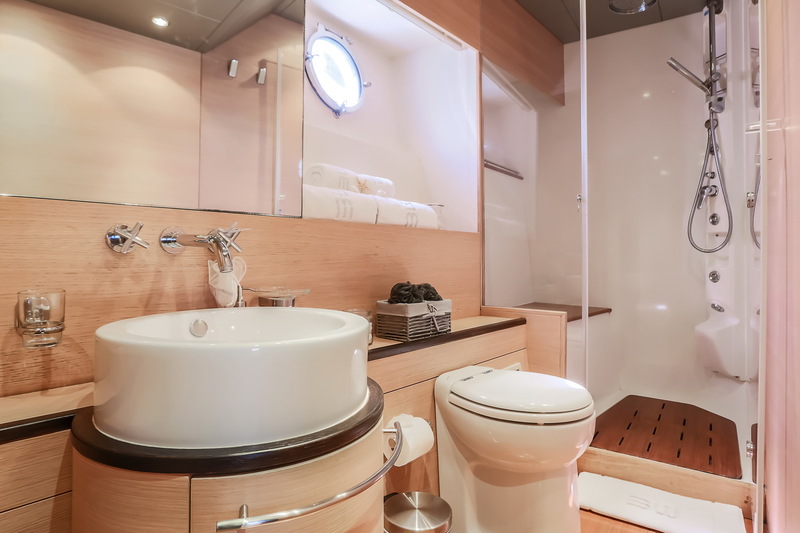 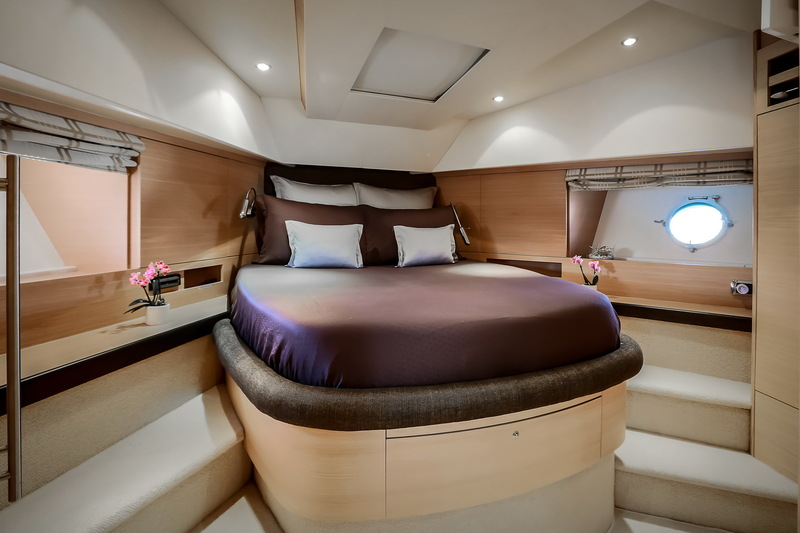 She is able to accommodate up to six charter guests in three cabins, with a crew of two servicing the vessel and guests. 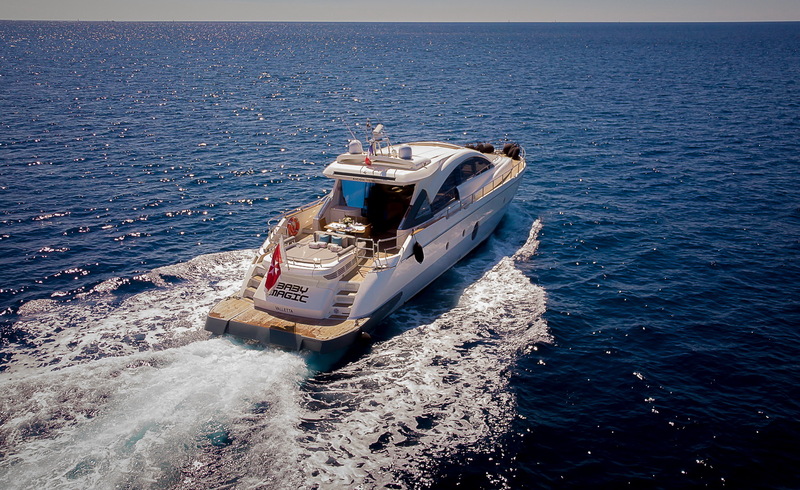 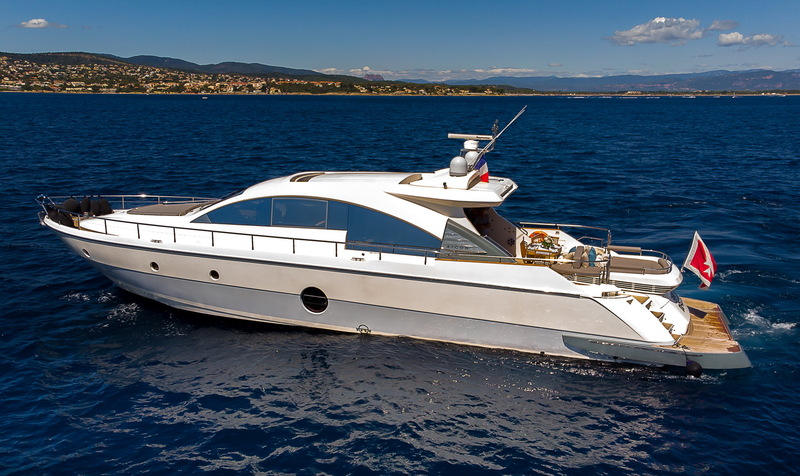 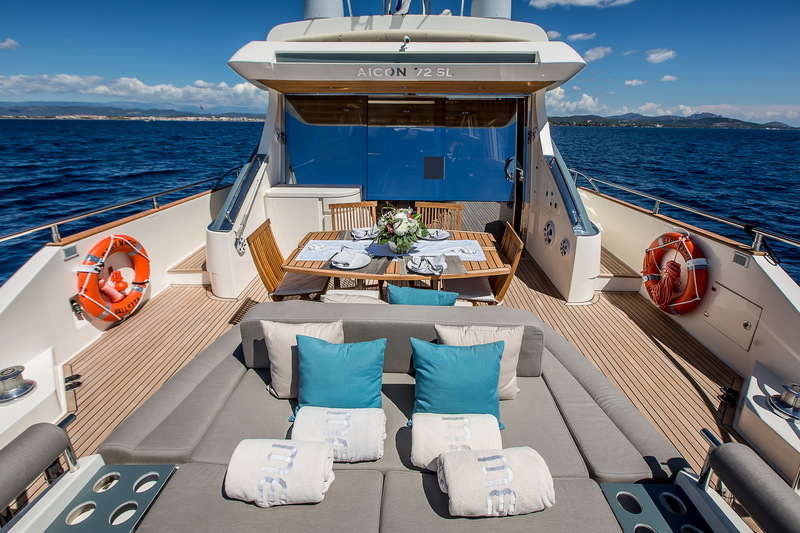 From the swim platform, guests have easy access to the sea as well as the main deck aft, where a double-sized sunbed covers the stern and the headrest becomes the sofa-back when guests face forward. 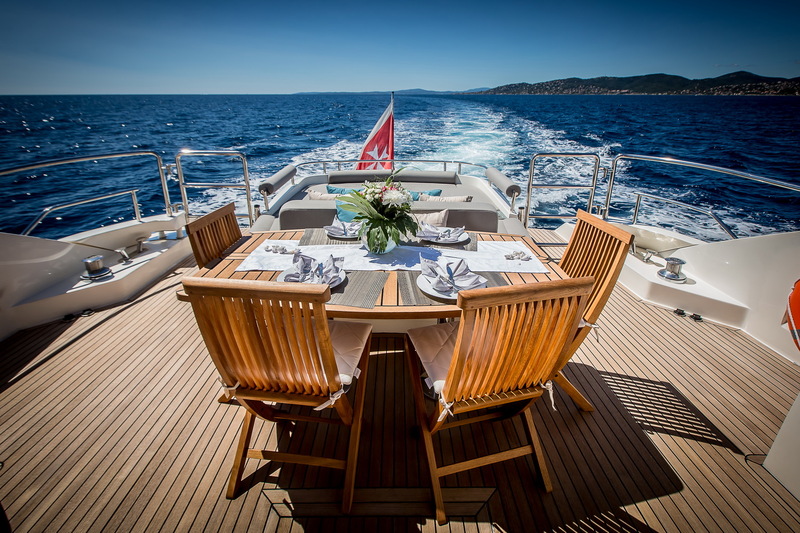 Near the doors to the main deck salon, there is an alfresco dining table with six chairs for guests to enjoy uninterrupted port, aft and starboard views. 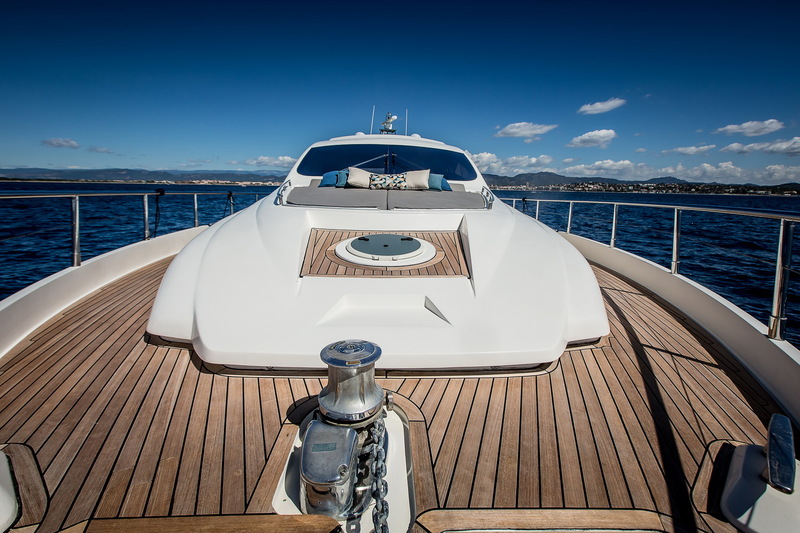 Another sunbed is available on the foredeck in front of the helm station, and there is additional room on the bow for observation and exercise. 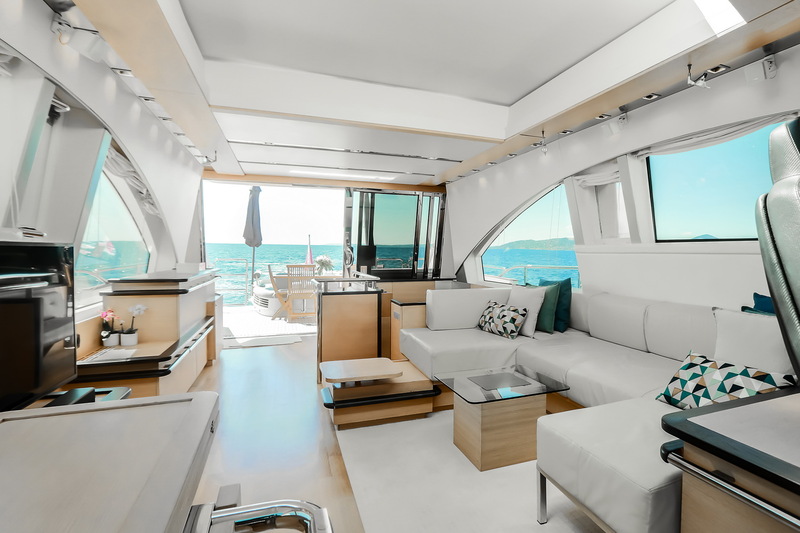 The modern interiors use pristine white furnishings and walls to emphasise the natural light and sense of space in the salon. 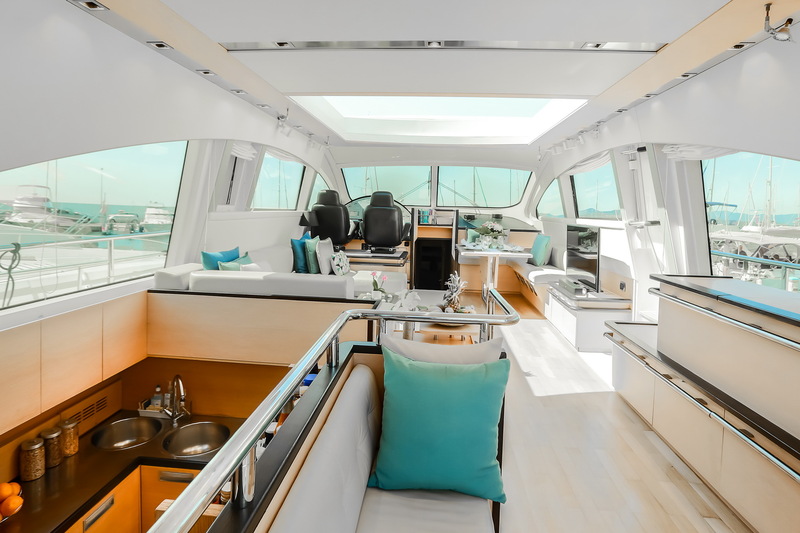 Pale wood and accents in turquoise blue add to the tranquil air-conditioned interior, where there is a port-side helm station with a corner dining and lobby area to starboard. 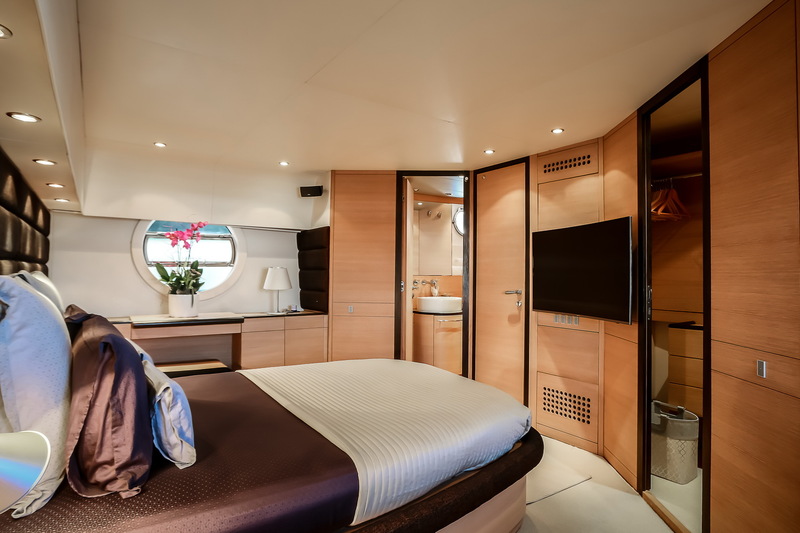 Amidships, a massive skylight opens up for sunshine and fresh air as desired while guests unwind on the port sofa with a widescreen TV opposite for entertainment during transit. 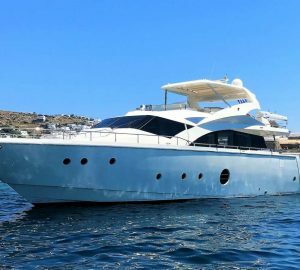 To the aft, there is an additional sofa close to the doors out onto the main deck aft, and a recessed galley also to port allows the group to watch the meal as it is being prepared. 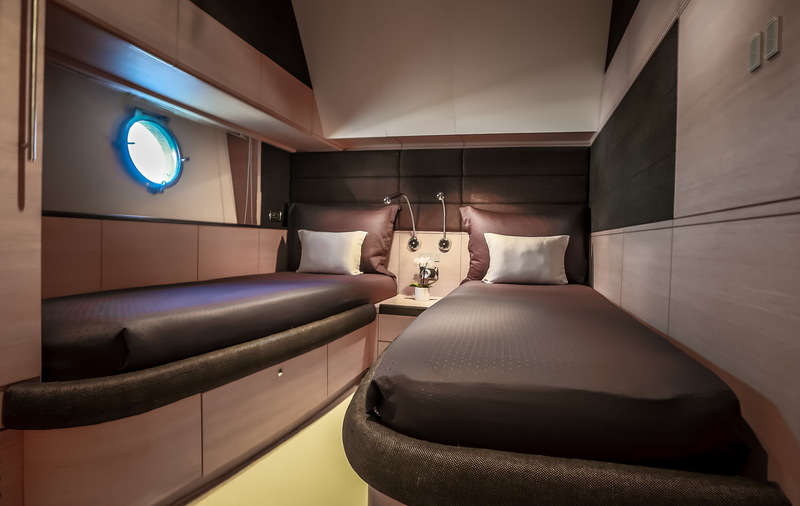 On the lower deck, there are three large guest cabins to sleep up to six guests, plus a crew cabin to sleep two. 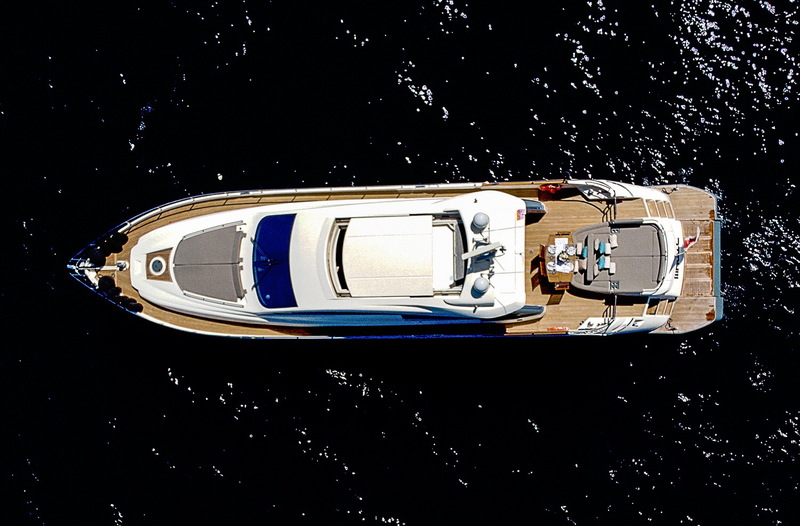 A pair of MAN 1,450 HP engines produces a cruising speed of 22 knots and an impressive top speed of 33 knots. 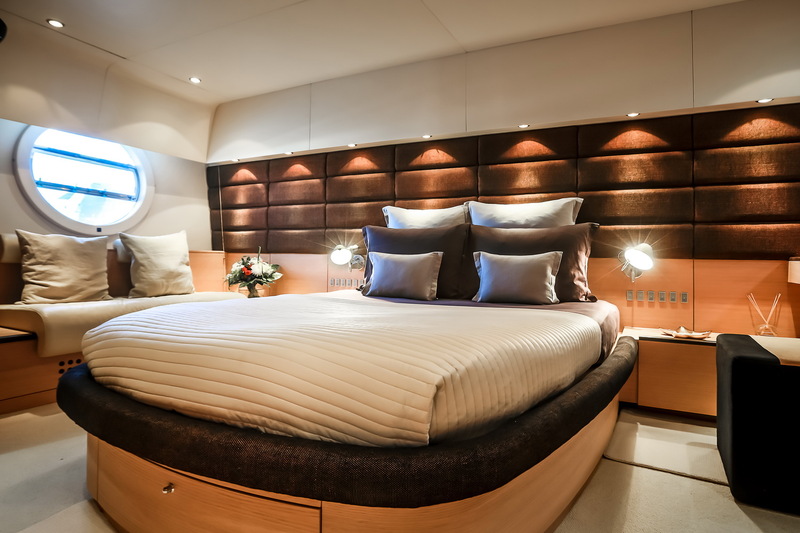 Accommodation is provided for up to six charter guests in three lovely cabins, including two doubles and one twin.